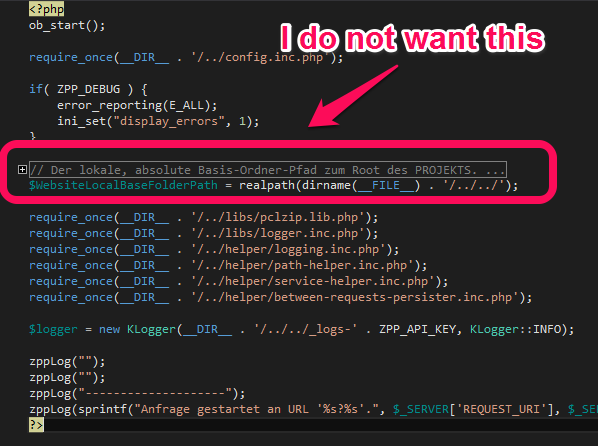 Since recently, in all my PHP files, I see comments that go over mutliple lines as initially collapsed. I do not want that "feature". Can you please give me a setting option to disable automatic multiline-comment collapse? That is weird because we set all the comments to be initially NOT collapsed. - when the comment was collapsed before and the document closed in such state - Visual Studio remembers the state of collapsing and restores it when you open the document next time. If it still happens to you, please let me know. Thanks a lot for your feedback, Jakub. I hope it helped and sorry for the delayed response. I'm having this issue too. Have never explicitly collapsed any comment, but am frequently having to go through and un-collapse them. 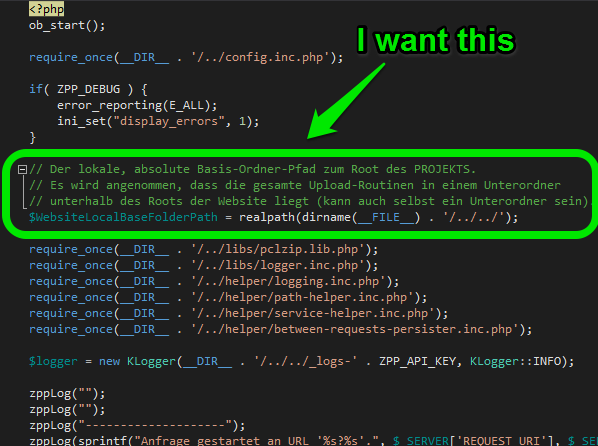 This only happens in PHP, no other type of source file. In the next update we introduce the option for that behavior. Multiline comments are initially not collapsed. They get collapsed by the Visual Studio Editor if you press `Ctrl+M,O` shortcut (the default behavior as it is in other Microsoft languages). Also it might get collapsed by a 3rd party extension which may collapse regions upon opening a file. Any collapsed region gets remembered by Visual Studio when you open the file next time. For what it's worth, they are definitely appearing collapsed initially for me. I have never used Ctrl+M,O, so that's not what's doing it. The "initial collapsed state" is ONLY in PHP projects - I've never seen it happen in C#, C, C++, Python, etc - & I've been developing in VS for many, many years. This does seems to be something that's unique to working with this extension.